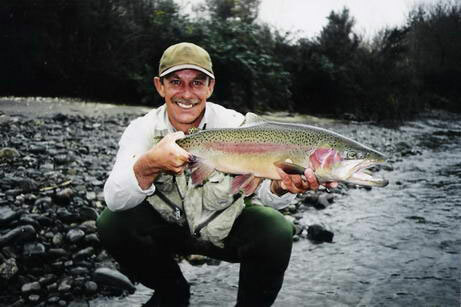 Winter fly fishing in New Zealand is exciting and provides the angler with fresh runs of migrating fish from Lake Taupo. As the weather cools and rain falls, the number of fish in the rivers increases dramatically. The scenery passes through Autumnal golds to frosty alpine vistas of smooth flowing waters with thousands of rainbow and brown trout making their way up stream. During the New Zealand Winter (June to September) most of the fisheries in New Zealand are closed. However the Taupo region is a major exception to this as it has no closed season and can be fished all year round. Both rainbow and brown trout make their spawning migrations up the eastern tributaries of Lake Taupo. The runs are spread out between April and November with the main rainbow run taking place between June and September. Runs are stimulated by rain and cooler water temperatures. Nymphing is the most effective technique. From 1st June to 30th November, the upper parts of the rivers are closed to angling to protect the trout while they are spawning, but the fishing is awesome throughout the winter in the lower sections of all the eastern tributaries. 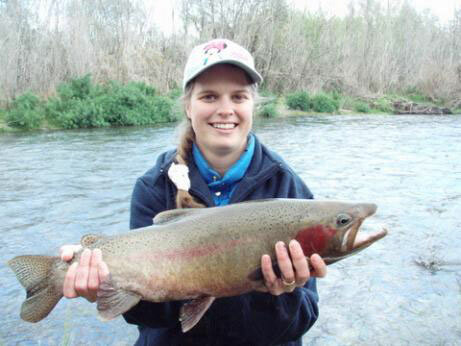 Popular rivers for fishing over the winter period are the Tongariro, Tauranga-Taupo, Hinemaia and Waitahanui. The Department of Conservation monitors fish numbers and estimates that the migration up the Tongariro alone is 10,000 rainbow and 1000 brown trout. The winter feeding habits of the trout and river conditions are very different from summer and, like any fishery, local knowledge makes a big difference in knowing where to fish, what tackle to use and which flies work best at any given time. With Ken to guide you, you can be sure of finding the hot spots regardless of the season. 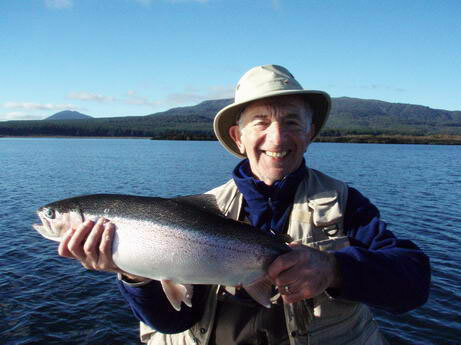 Book your winter fishing trip with Ken Drummond now!